Light and dark. The hunted and the hunter. 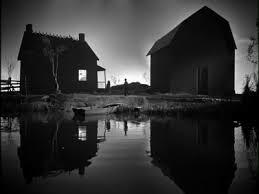 Charles Laughton’s THE NIGHT OF THE HUNTER (1955) is a beautiful and deeply disturbing film of striking contrasts. A cinematic visual wonder, this film is rich in symbolism. Masterfully cast with outstanding performances, beautifully directed, and filmed in sumptuous cinema photography, this unforgettable story of innocence and evil serves more as an exquisite piece of art. [I want to tell you a story of love and hate as revealed in the details of this film. So yes, of course this will be heavily loaded with SPOILERS.] 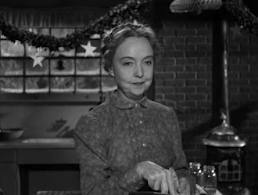 Our story begins with a simple elderly woman looking farm-worn with kind eyes, Rachel Cooper (portrayed by Lillian Gish), as she recites biblical scripture quotes. She foreshadows with a foreboding nod of what’s to come… “A good tree cannot bring forth evil fruit. Neither can a corrupt tree bring forth good fruit. 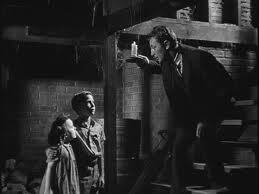 Wherefore by their fruits, ye shall know them.” We see children playing as they make an eery discovery of a dead woman’s body then it cuts to our antagonist, the self-proclaimed Reverend Harry Powell (portrayed by Robert Mitchum), who reveals his ‘calling’ as a messenger of God who relieves widows of their wealth and kills women who he believes are sinners. We switch over to young siblings John and Pearl Harper- just as their father Ben (portrayed by Peter Graves) erupts onto the scene fresh from a robbery with a bloody wound and a ten grand stack of cash in his fist. The man demands his son to always take care of his little sister and for both to never reveal where the $10k fortune is hidden- not even to their mother. The police arrive, forcing Harper to the ground and we see John noticeably shaken up by his father’s capture. Thrown into jail on a lesser charge as a car thief, the Reverend bunks with Harper as he faces the death sentence. Harper’s final vice is talking in his sleep, muttering “and the child shall lead them” but ultimately he never reveals the treasure’s location through his bitter end. Yet the seed of want is firmly planted now for the fanatic man on a mission. After their father’s hanging, the Harper children are bullied and outcast by the other school kids and townspeople. 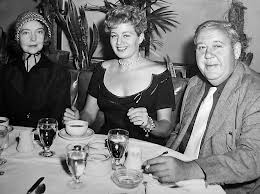 The only friends the Harper family have now are the ice cream shop owners, Icey and Walt Spoon, where widow Willa Harper (portrayed by Shelley Winters) works and John’s friend, “uncle Birdy” the kind and scruffy river man (portrayed by James Gleason). The preacher arrives in town in a superbly shot scene. 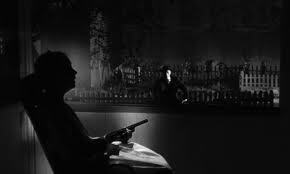 John is telling Pearl a bedtime story and as he talks about the ‘bad men’ of the story, a large ominous figure with a preacher’s brim casts a shadow from the window. 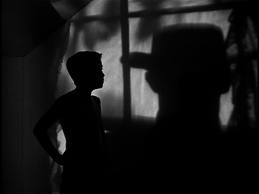 The boy moves to the window and peers down to see the preacher under a lamp post, as he strolls off singing a hymnal. The wolf has circled the edge of the flock, with his woolen disguise. Rev. Powell quickly and charismatically charms his way into this small town folks’ trust. Everyone except John, that is. He deceptively persuades them of his moral status by explaining the letters written across his knuckles, “L-O-V-E” and one hand and “H-A-T-E” on the other with his dramatic story of struggle, with good winning over evil. But it’s naive and simple Willa Harper he first sets his target on. Willa feels a burden of guilt about the money her executed husband left behind. The preacher lies to everyone when he claims he knew Ben Harper as a pastor for the prison (not as his cell mate) and he lies again when Willa asks him if Ben shared where the money was hidden. He tells Willa and and the children the money was tied to a rock and thrown in the river. Willa feels “clean” from the burden of her dead husband’s crime being released so it’s obvious to the preacher that it is not she who knows of the fortune’s true location, as the children respond differently. The wolf knows it’s time to mark off the weaker ones of the herd, so the Reverend proposes to Willa and informs John privately that he is on to his secret. To feel clean again, Willa joins her preacher husband for fire-and-brimstone religious sermons as she passionately preaches to the town folk of her journey as a sinner with a ‘painted face’ who found cleanliness through God when her ill-gotten money was thrown into the river. Now with Willa under his spell, he goes after the children by dividing and conquering. While he keeps asking where the money is hidden to the children, the mother does not believe it. That is, until one night when the Reverend can tell Pearl is close to cracking so he locks up John in his room and interrogates Pearl alone. As he threatens to break her arm if she doesn’t fess up, Willa overhears his threats as she walks up to the house. Despite evidence of his lies and threats, Willa confides to her husband at bedtime that she’s aware the money must still be near and that John must know it’s location. She is so obsessed in her pursuit of salvation, she blindly finds comfort in her illogical perception that the money is what brought them together and somehow his “sins” and true motivation do not matter. In this visually memorable scene, she lies angelically on the bed with her arms crossed, looking upward contently and free of burden while dark and light casts shadows on the A-frame ceiling like a cathedral. In the background standing nearby, the Reverend stretches out his clawed grip upward to the heavens, then he stops to pull the blinds down, takes out his switchblade and hovers over her to strike. As the children sleep, the preacher wastes no time in disposing his bride’s body and planting a convincing alibi to the Spoons. He lies again as he claims Willa has run away in the middle of the night in an old Model T. He further discredits her character by claiming she was sinful as a secret drinker, refusing him in bed and implied she was a poor mother so he’ll be the martyr by becoming a full-time parent to John and Pearl. 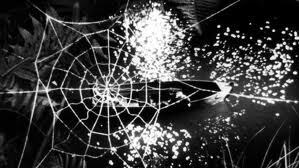 In a haunting underwater scene, we see “uncle Birdy” discover Willa’s body tied down in the Model T as he’s fishing when his hook gets caught on her grave at the bottom of the river bed. Sadly, he is so convinced that the law will pin the murder on him, Uncle Birdy is driven to heavy drinking to console his grief instead of revealing his morbid discovery. Meanwhile, the children hide in the basement as John tries to convince his little sister the time has come to run away. The preacher calls to them, but it takes Mrs. Spoon’s surprise drop-in with supper to draw them out. It doesn’t last long for as soon as Mrs. Spoon leaves, the preacher starts up the interrogation again. Rev. Harry Powell: “Weren’t you afraid, little lambs, down there in all that dark?” His patience wearing thin, he brings out his switchblade to intimidate John and Pearl if they don’t reveal their secret. John claims the money is buried in the cellar to stall him. 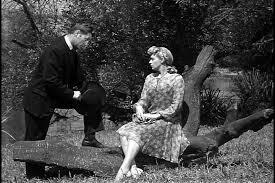 Hypocritically, the preacher threatens to kill John for his lying, forcing Pearl to blurt out the treasure’s true hiding spot. Desperately, John creates a diversion and they run to Uncle Birdy for help. Tragically, he is too drunk and passes out. Their only hope is to flee by traveling down the river all alone. The children barely escape in a boat, as the preacher lumbers after them. The hunt has begun. The good-hearted shepherd Ms. Cooper continues to care for all her little lost lambs, including John and Pearl. She’s a disciplined and religious woman so she reads bible stories to the children. But John openly displays a disliking for scripture with the devilish hypocrisy he’s experienced with the preacher. She tries to get John to open up about his past by telling the story of how baby Moses was discovered in a little skiff, just like John and Pearl. The eldest lamb in Ms. Cooper’s flock, Ruby is in that awkward phase between child and woman but who is looking for love in all the wrong ways. So she pretends to be taking sewing lessons when she’s actually hanging out by the drugstore, enjoying attention from boys. She is an easy target when the preacher comes along and takes advantage of her willingness to answer all his questions about John and Pearl in exchange for some ice cream, a magazine and compliments from a stranger. She immediately regrets her recent actions and bares her soul to Ms. Cooper. Her confession of shame is rewarded with supportive kindness and forgiveness. Ruby also shares that this preacher man wanted nothing in return but information on John and Pearl. Ms. Cooper is suspicious. When the preacher appears at the house, he attempts his best lies to explain the strange reasoning behind John and Pearl’s mysterious arrival to her doorstep. 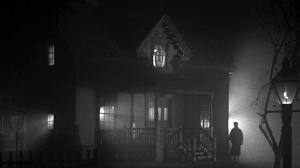 But John confidently tells Ms. Cooper, “he ain’t my Dad.” She instinctively knows something is wrong and astutely answers, “No, and he ain’t no preacher either.” John grabs Pearl’s doll and runs under the porch, as she bolts for her rifle inside while the preacher scrambles after John brandishing his switchblade. She firmly points her weapon at him and orders him to leave. He insults her via scripture quotes and vows to return at night. 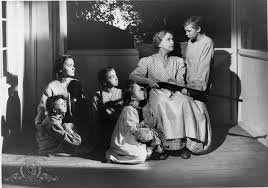 In a close call, the preacher enters the house but Ms. Cooper shoots her weapon and he runs to the barn, howling like a crazed animal. She makes a call to the operator: “Get your state troopers out to my place. 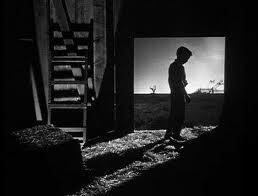 I got something trapped in my barn.” By daylight, the state troopers arrive and they easily draw him out of the barn. As they tackle him to the ground, charging him for the murder of Willa Harper, John oddly cries out “don’t, don’t!” He runs to him and pounds the doll repeatedly on his back, begging him, “here, take it back!” The money flies out of the doll and Ms. Cooper takes him in her arms. Young brave John has finally broken down. This scene is clearly too reminiscent of the time his father was taken from him. And the burden of carrying his father’s secret has been too much of a sacrifice, resulting in too much pain and tragedy. Very surprising that director Charles Laughton chose this story with such a strong message on the merits and goodness of children. It was well known that he hated children. It’s been said he had particular frustration and little patience in dealing with the young actress who played Pearl. Brit-born Laughton was an award-winning and popular actor of stage and screen, a producer, a drama teacher and for his first and last time with this film, a director. Although he stated his reasoning for never directing again was due to Laughton’s preference for directing plays over film, many believe the truth had more to do with his bitter disappointment in this film’s poor commercial success. 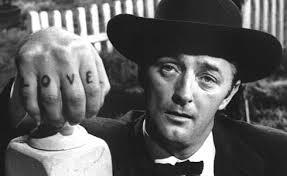 Despite the less than flattering response from critics after this release, THE NIGHT OF THE HUNTER has endured as a favorite of classic film fans. 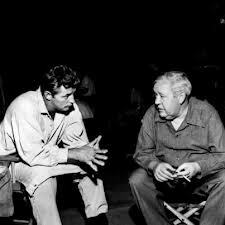 Lead Robert Mitchum claimed Charles Laughton to be his favorite director. How bittersweet considering it was his only film. With this strong cast, Shelley Winters is aggravatingly convincing as the clueless and simple Willa Harper. 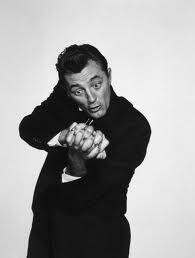 Robert Mitchum’s performance is perfect as the charismatic serial killer who uses religion to his sociopathic advantage. He brings a whole new level of evil to some deeply disturbing scenes as Harry Powell. On the contrast, Lillian Gish brings the perfect balance to Rachel Cooper. She is the physical embodiment of a fragile and gentle old woman. But her tremendous strength of character reflects her brilliance and is exactly what was needed for good to ultimately overcome evil. It’s hard to believe that Laughton’s first choices were Gary Cooper and Betty Grable for the leads. This film is packed full in symbolism and vibrant contrasts. It takes on the subject of religion; showing the potential of both goodness and strength but also of hypocrisy of it’s morbidly dark side. For such a strong story and cast, filmed in such an artistic way (thanks also to talented cinematographer Stanley Cortez), perhaps it is the controversial debate of religion that caused this film’s lackluster of success. My belief is that a 1955 audience was not ready for this artistic masterpiece that dared to show beauty and dark terror so closely together. 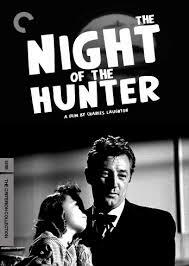 THE NIGHT OF THE HUNTER was simply ahead of it’s time. *This blog entry is part of the GISH SISTERS BLOGATHON, hosted by Movies Silently (@MoviesSilently) and The Motion Pictures (@TMPLindsey). Check out all the great blogging ‘dish on Gish’ Sept. 7-9th. 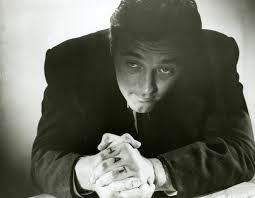 I didn't realize Robert Mitchum considered Laughton his favourite director – that is high praise! Terrific review, Kellee. All the performances in this film are superb; Laughton certainly knew how to draw the best out of everyone. This film is really creepy but also philosophical and thought-provoking. It shows how folks can use religion for evil, but also use their faith for good to protect the vulnerable. 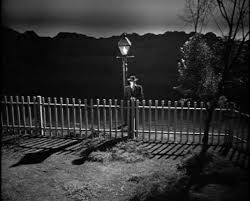 How sad that The Night of the Hunter's 'classic' status came to late for Laughton, I would've love to see what else he could have done. But maybe the fact that it's his only film makes it all the more special! I agree with your sentiments about films ahead of their time, in my opinion there are many others that suffered from this same fate. One of my all-time favorite films. I was most excited to see this on the big screen at this year's TCMFF and it did NOT disappoint. It literally moved me to tears, which stunned me since I'd seen it so many times. You do it more than justice, Kellee! Great post AND choice for the blogathon!! 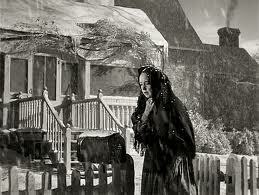 It is ironic that Lillian Gish only directed one movie and so did Charles Laughton. “She is the physical embodiment of a fragile and gentle old woman. But her tremendous strength of character reflects her brilliance and is exactly what was needed for good to ultimately overcome evil.” Excellent description. Thank you for sharing. Thanks for the great review! This film blew me away when I first saw it years ago and, interestingly, it was the first time I had ever seen Lillian Gish. 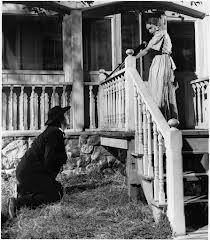 Her holy war with Mitchum (complete with scripture quoting and hymn singing)was truly one of the highlights. You did a splendid job of breaking down this dark fairy tale and capturing why it is now considered a classic. Fantastic review, Kellee! Somehow, I missed the fact that Laughton hated kids, so this was news to me! Considering the end results, it's hard to tell. It's just a shame he never had the opportunity to direct anything else. 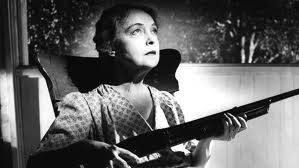 Mitchum is truly terrifying in his role, and Gish… well, we know how great she is! I can't imagine Gary Cooper as the lead: he isn't sinister enough! Mithcum, on the other hand, does a terrific job and I was really impressed by him, I mean, I really hated his character. Lillian is wonderful as always, and I can't forget Billy Chapin as the boy, what a fierce his performance had! But Pearl made me mad sometimes! Thanks SO much!! I truly appreciate your complimentary feedback. Creepy and thought-provoking, indeed. I agree- I wish Laughton somehow knew when he was still a filmmaker we'd all grow to love and appreciate his talent for this film, even decades later. I wish we could have seen more films directed by him. And yes, sadly there are many others who were too ahead of their time to be fully appreciated, until much later. Thanks so much for stopping by! Thanks, Aurora! 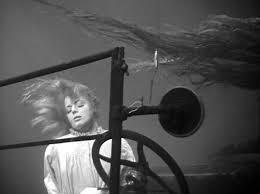 How thrilling this must have been to see on the big screen- and at TCMFF no less! I could see myself getting misty-eyed as well, sweetie. How ironic, for sure. I'm so gllad you apprecitaed my description of Gish and of this piece- thanks so much reading, Joe! Thanks SO much, Fritzi- I appreciate your insights on this film, too. 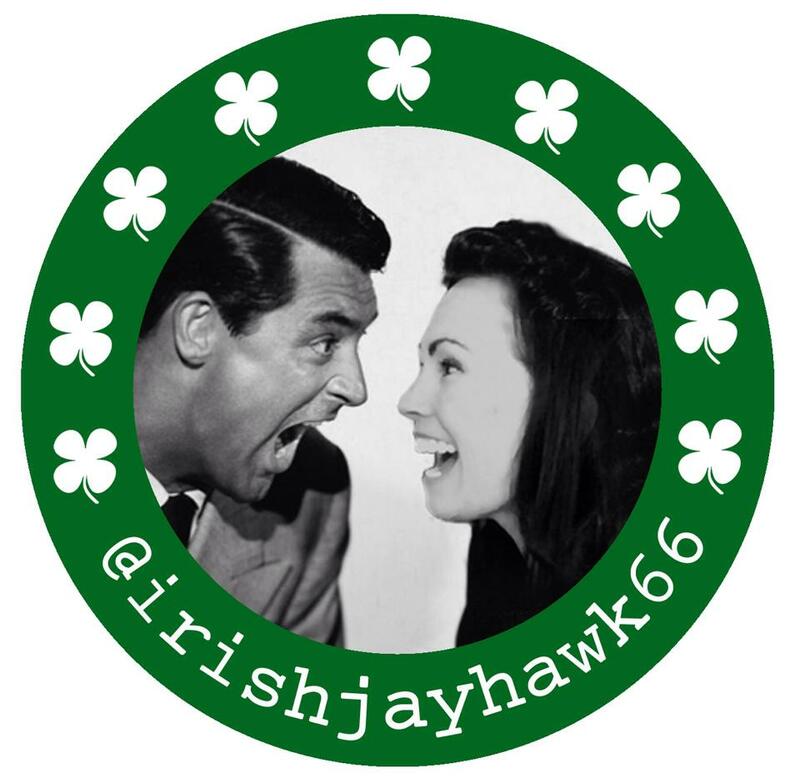 I enjoyed writing about this film and I VERY much appreciate you hosting this fun blogathon! Thank you, Barry! What a talented line-up for this film. Thanks for reading & sharing. I enjoyed reading your blog piece, too. Thanks, Le! I tried to comment on your blog but I had technical difficulty. Grrr. I will try again. In the meantime, thanks for reading & thanks for your feedback! 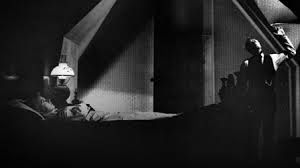 NIGHT OF THE HUNTER is a haunting, poetic film that explores themes ranging from the battle between good and evil to the propensity of Nature to protect the innocent. 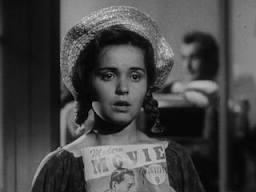 In addition to being Laughton's only directorial effort, it was one of the few films written by acclaimed author and film critic James Agee. 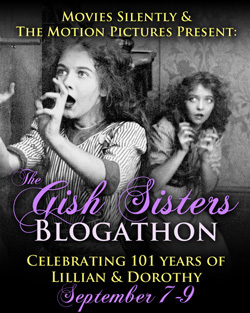 A great selection for the Gish Sisters Blogathon!